In the same residence as the Chalets Louis and Hermione this is the largest of the 3 chalets and can sleep up to 12 people. 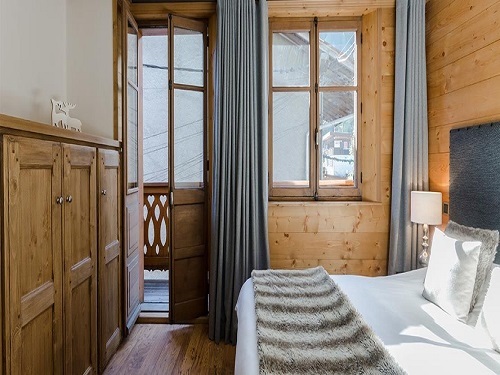 Introduced to our program in 2009/2010, it has proved popular with returning customers with its great location - the chalet is an apartment style chalet built in stone and wood. 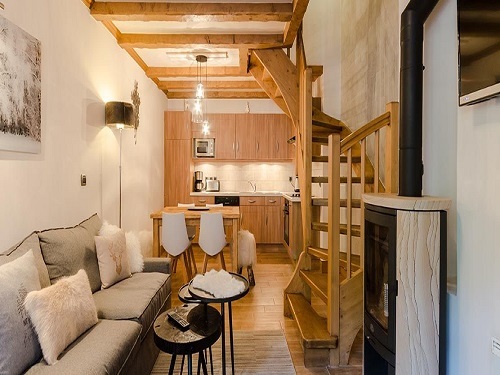 A great place to stay for anyone looking for comfort and style. 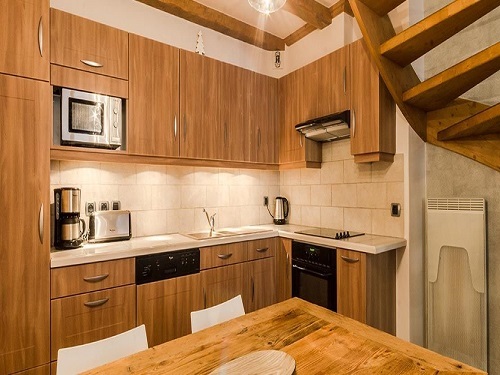 Chalet Paulette has five bedrooms across 2 floors sleeping a total of up to 12 people. The first floor has a kitchen, lounge, dining area as well as a twin room, bathroom and separate toilet. Upstairs on the second floor there are a further 4 bedrooms, 2 bathrooms and another separate toilet. Two rooms have twin beds one has a double bed and one has a double and a single bed. (This last room also has a fold away bed under the single so can take a 4th person, but this will be tight). 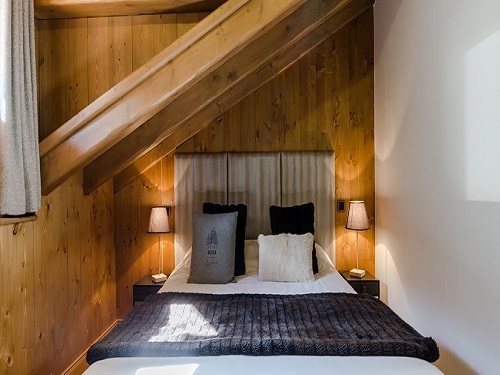 As with all our chalets you will be made to feel at home immediately by our hosts who will look after you during your stay. 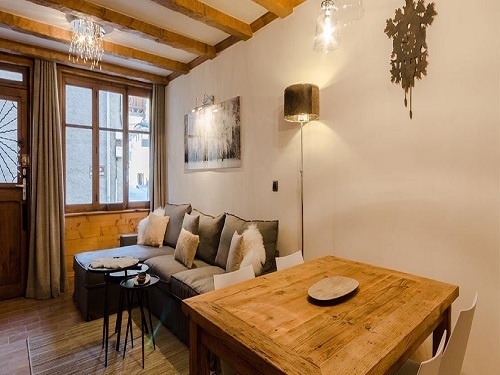 It is only a short walk from both the tourist office and the Telecentre lift which will take you up into the ski area.